Scott Angelle and His New Job? It has come to the attention of Cajun Conservatism that the Trump administration is considering the appointment of Scott Angelle to the Dept. of Interior, either at the head of the Bureau of Ocean Energy Management or Bureau of Safety and Environmental Enforcement. This possible position has been reported on in the past several weeks on outlets such as Business Report and LAPolitics and has come with what seems to be the blessing of both Congressman Clay Higgins, who defeated Angelle in a highly contested 3rd Congressional District race this past fall to replace Charles Boustany, and Attorney General Jeff Landry. This move will push Angelle out of the spotlight in Louisiana politics and into the swamp of DC. The only positive thing that can result from this decision is that Angelle can promote himself as a champion of oil and gas and an ally of the industry in either of these positions and Louisiana can move on without him. In either case, we, in Louisiana, are better off. Posted on May 16, 2017 by Christopher J. Gary and filed under Oil and Gas, Jeff Landry, Louisiana, Clay Higgins, Scott Angelle and tagged Clay Higgins Oil and Gas Scott Angelle Jeff Landry. In a desperate attempt to grab onto the seat in the House of Representatives, Louisiana's 3rd District, Scott Angelle has stooped to new lows in attacking Capt. Clay Higgins' family. In a rebuttal, Higgins released the following, which is self explanatory. Divorced in 1999, Higgins' ex wife... the mother of his living children... is a highly recognized, skilled paralegal. She was a senior paralegal in the Jindal Administration. She worked with... and is friends with... Scott Angelle. Her lawsuit about child support was filed last week, the very day after the November 8th primary. These reported allegations date back 11 years. Although an accomplished paralegal, she never pursued civil action until now, 11 years later. The lawyer who filed the suit is the law partner of Jindal's attorney. Captain Higgins consistently paid $1289 monthly, plus health insurance, and also assisted with incidental expenses, in 1999, 2000, 2001, 2002, 2003, and 2004. During this time frame, Captain Higgins had 5 employers... yet the Texas State Attorney Generals Office served court ordered child support withholding only one time...the initial filing in 1999. Every subsequent employer was advised of the withholding at commencement of the new job by Captain Higgins himself. Captain Higgins moved to St Landry Parish in 2002. In November of 2004, at the conclusion of what was to be his final job in the car business, he changed his life drastically and began his career as a street cop, earning far less money. Higgins had the child support case moved from Texas to St. Landry Parish whereby a proper review and reassessment of child support amounts would be adjudicated by a Louisiana judge. (According to the Louisiana formula, Captain Higgins child support would have been adjusted to $400 dollars monthly, with credit applied to that amount for health insurance.) This is why payment records in Texas stop early in 2005. Court documents in St. Landry Parish clearly verify this filing. His wife, a clever paralegal, maneuvered the case away from St. Landry Parish into EBR Parish, where she had complete control of the case. She immediately had the case filed as "Pass Without Date", meaning it was "shelved" with no review and no new adjudication. With no resolution, faced with no ability to seek righteous adjudication, Higgins continued to comply with what would have been the Louisiana adjudication. He did so for well beyond the 18th birthday of his 3 living children. Captain Higgins remains a loving father, and still provides support for 2 of his now adult children. His 2 younger children were each provided a car during their senior HS year. His 24 year old son... a street cop... currently lives on his own in Clay's paid for single wide trailer, rent free. The Captain also helps his son with incidental bills. Clays youngest daughter is a junior in college. Her vehicle note, all maintenance and insurance is handled by the Captain. He also provides extra help for her as he is able. Captain Higgins has hoped his children would be left out of this campaign. Scott Angelle remains a career politician. Posted on November 15, 2016 by Christopher J. Gary and filed under Scott Angelle, Clay Higgins and tagged Scott Angelle Clay Higgins. In 1858, a young America found itself on the verge of disintegrating into the annals of history to join the likes of Rome. Knowing well the stakes were of the highest sort, President Abraham Lincoln, resolved as ever, prevented the eternal downfall of our country by turning to - among other things - a simple truism that was (is) paramount, timeless and universal in nature. In an historic speech, President Lincoln warned the people of the United States exactly as Jesus once warned his disciples, telling the nation, “A house divided against itself cannot stand.” We all know the rest of the story (or at least we all should). Now, 157 years later, we Louisiana conservatives find ourselves cast in the lead roles of our own collective story of a house divided amongst three conservative gubernatorial candidates and their respective supporters. Because our current scenario is also one with vast implications, my fear is that, at the individual level, idealism could carry the day over pragmatism. This would result in – by default - the handing over of victory to the true opposition by way of a silent minority. I find that possibility unbelievably unsettling. Therefore, I challenge anyone dwelling in this political purgatory to act out of reason rather than dogma in this critically polarized run-off. If there is one thing that, in theory, all conservatives have in common, it is the recognition that President Obama’s agenda has sought to erode the foundation of our country and systematically destroy the American way of life. Therefore, it should be a foregone conclusion that conservatives will do whatever is within their powers to counteract any and all further proliferation of the Obama agenda up-to and including serving defeat to any candidate for high public office who had any part in giving this man the Presidency the first time (much less the second!). So why are we left with questionable uncertainty as to whether Dardenne's supporters and Angelle and his voters will now be backing David Vitter with an official public endorsement and at the polls? I believe, for many, the answer to this question is rooted in a fallacious allegiance we, as humans, tend to have towards our individual idealisms. To our dismay, however, idealism only succeeds outside of our current reality and at the expense of real-world solutions. I present one final alternative way of looking at this situation in general: most of us (including myself) can easily lose site of the actual “who” and “what” for which we are voting in the first place. It’s easy to think that we are voting for a person – a candidate – alone. Yet the reality is that we are voting for each other concurrently. When I think of all the candidates whom we've elected who is (also) “voting” for us, I think of Senator David Vitter. I could be no more pleased with the representation he has made for us in the Senate with his solid, consistent record of representation of his constituency. How rare is that? Still, I am completely confident that he will make an even better Governor. We have yet to see the best of Vitter. I have no doubt! For anyone still left with a sigh at this point, here is the hard line in the sand, which William F. Buckley, Jr. gave me the words to draw: “Idealism is fine, but as it approaches reality, the costs become prohibitive.” Despite our individual ideal outcomes for this race, we are now – like it or not – standing on the ledge of reality. Since we know what that reality is, we then know the cost of Dardenne, Angelle and their respective supporters not rallying behind David Vitter for Governor because they hoped for a different primary outcome. That cost would indeed be prohibitive. For one, by withholding support for the sake of making a point will be self-sabotaging for all who do so (join Dardenne at your own risk). Do I have to even enumerate the myriad of ways in which this is true to my fellow conservatives? Another - and arguably far worse - reason why not lending full support to Vitter is inherently prohibitive is that such a position (or lack thereof) would be held at the expense of others whom do not deserve to be subjected to such victimization over what is, now, irrelevant (but destructive) political posturing. I think I speak on behalf of the conservative majority – silent and/or vocal – in applauding the Public Service Commissioner and all of his and Dardenne's supporters for adjusting their sails and pointing the bow of their ships northward. Louisiana will be all the better for it! Let's not lose this big-league election because of a small (but still large enough) part of our extended conservative family spent too much time majoring in the minors. The time for grieving has passed. It's time now to look toward our future. Posted on November 8, 2015 by Christopher J. Gary and filed under David Vitter, Scott Angelle, Louisiana, John Bel Edwards, Jay Dardenne and tagged Jay Dardenne Scott Angelle LAGOV David Vitter Louisiana John Bel Edwards. Scott Angelle has been receiving huge sums of compensation, $380,000 a year, for services he provides to Sunoco Logistics Partners L.P. since 2012, yet Louisianians know nothing about this job. Recently, when questioned about his involvement with this company, he dodged the questions, even going so far as to provide falsified information to conceal the facts. Angelle was asked if he got the job while serving as DNR secretary. Angelle was asked if the company he works for did business with Louisiana. Angelle was asked if he thought his Sunoco job was a conflict of interest to his jobs in Louisiana. Scott A. Angelle has been receiving huge sums of compensation for services he provides to Sunoco Logistics Partners L.P. since 2012. Recently, when questioned about his involvement with this company, he dodged the questions, even going as far as to provide falsified information to conceal the facts. FACT: Scott has made well over a half a million dollars in compensation for his work at Sunoco. FACT: During a late 2011 trip to Dallas, while serving as the head of DNR, Scott’s official itinerary states that his official business that day was to meet with “Energy Transfer Company,” Sunoco’s parent company. He stayed less than a mile away from Energy Transfer’s Dallas office and was reimbursed $329.67 by Louisiana’s tax payers. Scott stepped down from his position at DNR in late 2012 and before the year was finished was sitting on Sunoco’s board of directors. FACT: Scott’s assertion that Sunoco, and its parent company Energy Transfer, had no business before the state during his tenure as Secretary of the Department of Natural Resources is a lie. ETP has been a publically traded company since 2004. Beyond Scott having an official meeting in 2011 while holding the position of DNR secretary at their Dallas office, Sunoco, ETP, and ETE own multiple significant energy related assets in the state of Louisiana and have to file thousands of reports with DNR. FACTS: The LPSC is a public utility regulatory agency that also describes itself as having the jurisdiction to regulate pipelines. 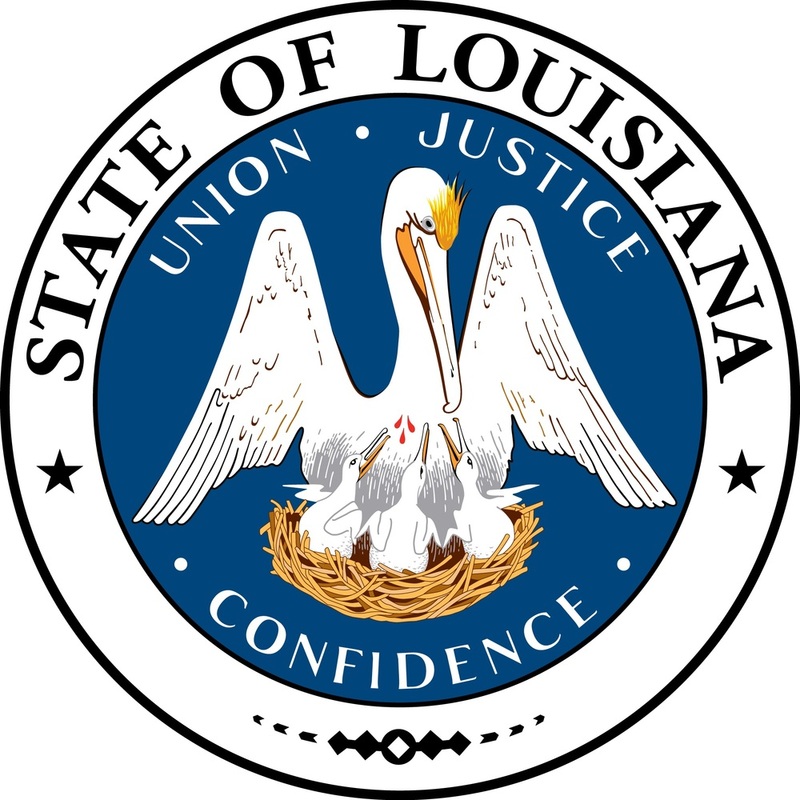 Angelle was elected to the LPSC late in 2012, at the same time that he was appointed by ETP to serve on Sunoco’s executive board “SUNOCO LOGISTICS PARTNERS L.P. Form 10-K." 2012. (Pg. 118). Coincidence? http://www.sunocologistics.com/SiteData/docs/SXLForm10K/998b1e2034c4a878/SXL%20Form%2010-K%202012%20FINAL.pdf. Sunoco has some major pipeline projects expected to come online in Louisiana in the very near future. These projects were announced in August 2014. In February 2015, the LPSC voted to expand its authority over all entities engaged in the transportation of petroleum by pipeline, like the ones that ETP and Sunoco utilize in their business endeavors. Angelle was serving on the PSC board when Sunoco announced the new projects and when the PSC gave themselves more authority. Was Scott Angelle making backroom deals to get this done? Scott Angelle avoided this vote by conveniently being absent from the room as the votes were taken, returning shortly after completion to continue the commission’s business. If it’s not a conflict of interest, why didn’t he vote? If it is a conflict of interest, why is he still getting paid by Sunoco while serving on the PSC? WHY IS SCOTT ANGELLE ON THE BOARD OF DIRECTORS AT SUNOCO: Is Scott Angelle Sunoco’s Louisiana insider to get them sweetheart deals through his elected position on the LPSC? Did Scott Angelle help get Sunoco’s new projects for Louisiana approved in any way? Why would ETP, and the top executives of the company, be pumping $80,000 of campaign contributions into his campaign for Governor? Posted on September 17, 2015 by Christopher J. Gary and filed under Scott Angelle, David Vitter, Louisiana and tagged Scott Angelle David Vitter Louisiana. On August 31, an Advocate article entitled, “Gubernatorial candidates focus on reducing state vehicle fleet,” featured David Vitter’s TV ad talking about eliminating thousands of unnecessary state cars. There are currently 10,832 state cars costing Louisiana taxpayers $232 million. Read Vitter’s plan for stabilizing the budget. Vitter’s Republican Opponents, Scott Angelle and Jay Dardenne, both chimed in on state cars. Figures based on truecar.com for Louisiana. Republican Lt. Gov. Jay Dardenne, of Baton Rouge, warned against pursuing a one-size-fits-all approach. “We should examine every cost-saving possibility and implement those that save taxpayers the most money,” he said. Since 2007, the total Dardenne has received for his car allowance exceeds $70,000. 1) Advocate, “Shortfall costs officials raises,” May 24, 2009. 4) Letters from Dardenne to the Commissioner of Administration Paul Rainwater, November 17, 2010. Letter from Dardenne to the Commissioner of Administration Jerry Luke LeBlance, October 30 2006. 5) Link to LSP driving Dardenne; Link to LSP driving Dardenne; Link to Dardenne admitting he uses LSP for campaign events. Posted on September 2, 2015 by Christopher J. Gary and filed under David Vitter, Jay Dardenne, Scott Angelle, Louisiana and tagged david vitter Louisiana.